"...delivering intelligent films that enrich and entertain..."
"...reaching audiences worldwide on TV, online and in cinemas..."
"...award winning and critically acclaimed..."
"...extensive footage library available for license..."
Wavelength Films is an award-winning creative company. We make televison and cinema documentaries, create websites and produce promotional films for NGOs and corporate clients. Our recent broadcast clients include the BBC, ITV and Sky. We also make films for non-broadcast clients, including the UN. We have a particular focus on arts and history. We love unravelling complexity. We deliver intelligent films which enrich and entertain. The extraordinary story of Harry Burton - the unsung hero of British photography. 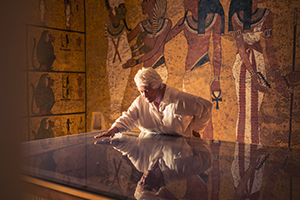 Margaret Mountford travels to Egypt’s Valley of the Kings to discover the story of an unsung hero of British photography: Harry Burton, the man whose images of the Tutankhamun excavation created a global sensation in the 1920s. As she explores the spectacular locations where Burton worked, including Tutankhamun’s tomb, she investigates how Burton’s photographs inspired a craze for Egyptian designs and made the archaeologist Howard Carter an international celebrity. She discovers why Burton’s images are still studied today by Egyptologists around the world. And she works with a present-day photographer, Harry Cory Wright, staging creative experiments to reveal how Burton pushed the boundaries of photographic art to create his extraordinary pictures of the world’s most famous archaeological discovery. 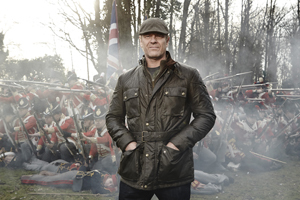 Hollywood star Sean Bean tells the story of one of history’s bloodiest battles. Before starring in Lord of the Rings and Game of Thrones, Sean Bean made his name as legendary Napoleonic war hero Richard Sharpe. Now he wants to know what the battle was like for the real-life equivalents of Sharpe and his comrades. In this series, he uncovers the story of one of history’s bloodiest battles through the eyes of the soldiers who fought it. Working alongside present-day soldiers and military experts he stages hands-on challenges and explosive experiments to discover how it felt to be there when history was made. He pieces together the chronology of the day, reflects on the connections between the soldiers who fought at Waterloo and their counterparts in the modern British army and meets descendants of the men who fought the battle. Stephen Fry explores the world of history’s most controversial composer. 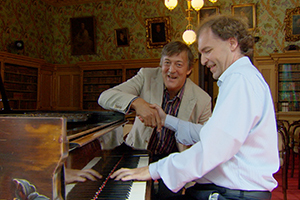 Actor and writer Stephen Fry explores his passion for the world’s most controversial composer. Stephen is Jewish, and lost family in the Holocaust - can he salvage Richard Wagner’s music from its dark associations with anti-semitism and Hitler? Stephen’s quest unfolds against the backdrop of the annual Wagner festival in Bayreuth, southern Germany. Granted unique access to this legendary arts institution, he eavesdrops on rehearsals and discovers its backstage secrets. He also explores other landmarks of Wagner’s career. In Switzerland he discovers the origins of his masterpiece, The Ring. In Bavaria he marvels at the fairytale castle inspired by Wagner’s music. In St Petersburg he meets conductor Valery Gergiev and learns why Wagner fascinated Russian audiences. In Nuremberg he investigates how Hitler appropriated Wagner’s music. In London he meets a cellist who played in the prisoners’ orchestra at Auschwitz, where some of Stephen’s relatives died. What will she think of his passion for Hitler’s favourite artist? Featuring a soundtrack of Wagner’s extraordinary music, this is a fantastic introduction to the life and legacy of one of history’s great geniuses, and required viewing for anyone who already loves Wagner’s work. 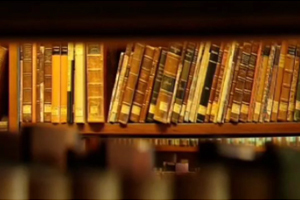 Felicity returns to the land of her childhood to uncover India’s love affair with Shakespeare. Felicity Kendal is one of Britain’s best loved actresses. She launched her acting career in India and spent the formative years of her childhood criss-crossing the sub-continent with her parents’ theatre company, Shakespeareana. In this film, Felicity returns to the country of her birth to make a visually spectacular journey to some of India’s most iconic cities as well as its rural heartland – a journey full of personal memories and resonance. Along the way she meets dancers, farmers, prison officers, school teachers and movie stars to discover how Shakespeare has influenced Indian life and culture for at least the past 250 years – from the early days of Empire to Bollywood and beyond. Stephen Fry presents the BAFTA nominated story of history’s most important invention. In this BAFTA-nominated documentary Stephen Fry investigates the story of the most important machine ever invented. The printing press was the world’s first mass-production machine. Its invention in the 1450s changed the world as dramatically as splitting the atom or sending men into space, sparking a cultural revolution which shaped the modern age. It is the machine that made us who we are today. Stephen’s investigation combines historical detective work and hands-on challenge. He travels to France, Germany and Switzerland on the trail of Johann Gutenberg, the elusive inventor of the printing press and the world’s first media entrepreneur. Along the way he discovers the lengths Gutenberg went to keep his project secret, explores the role of avaricious investors and unscrupulous competitors, and discovers why printing mattered so much in medieval Europe. But to really understand the man and his machine Stephen must get his hands dirty, assembling a team of craftsmen and helping them build a working copy of Gutenberg’s original press. He learns how to make paper the 15th century way, and works as an apprentice in a metal foundry making type, before leading a unique experiment to put the replica press through its paces. Can Stephen’s team match the achievement of Gutenberg’s medieval craftsmen? The Madness frontman takes a road trip through Europe’s most exuberant country. Graham ‘Suggs’ MacPherson is best known as the frontman of Madness, he’s as British as warm beer or queuing. But Suggs also has a passionate love of all things Italian and owns a house in the heel of Italy, Puglia. In this series he travels from north to south exploring the legendary cities and landscapes of Italy, but also those off-the-beaten-track places which give the country its heart and soul. Along the way he immerses himself in the ‘dolce vita’ and indulges some of his many passions. 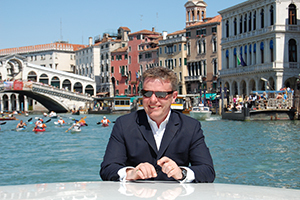 From the opera at La Scala and a singing lesson with Pavarotti’s teacher to a Vespa tour of Rome and a gondola driving lesson, Suggs throws himself into Italian culture. He even investigates the origins of football in Florence. A wonderful road trip through spectacular scenery and chaotic cities, full of sunshine, hidden treasures and engaging characters. Uncovering the story of Winston Churchill’s lifelong passion for painting. Andrew Marr discovers the untold story of Winston Churchill’s lifelong love for painting and explores the connections between Churchill’s private passion for art and public career as politician and statesman. Churchill’s achievements as politician are well-known. But he was also a prolific and surprisingly good painter. In a creative life stretching from World War One to his final years, he sought out the advice of leading artists, exhibited under a pseudonym in Paris in the 1920s and won prizes for his paintings. 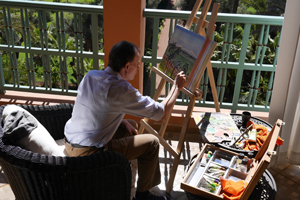 In this personal film Andrew Marr – himself an accomplished amateur artist - visits Churchill’s studio at his home at Chartwell and sets up his own easel at Churchill’s favourite painting hideaways in Morocco and the South of France. Through the story of Churchill’s passion for painting he pieces together a surprising and revealing alternative biography of one of history’s legendary figures. A unique painting collection opens a window on a story of greed, betrayal and belonging. 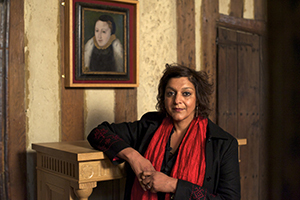 Meera Syal explores the extraordinary story of the painting collection of the Maharajas of Thetford. Why did Prince Frederick Duleep Singh, the son of the Maharaja of Punjab, and a man robbed of his birthright by the British, create a painting collection which celebrated the history and traditions of a country his family had every reason to despise? Through the story of the paintings, actress Meera Syal, uncovers a tale of betrayal, greed and cultural identity that plays out during the height of the British Empire. A selection of work for UK and international clients including the Arts Council and United Nations. From UNESCO to the Arts Council England we have made documentaries, short films, promotional pieces and podcasts for UK based and international clients. We have filmed in the foothills of the Himalayas and the back streets of Peterborough. We have also delivered cultural events for educational institutions and festivals and devised and run talent development programmes for Creative England and BFI.NETWORK. We relish working with clients with a story to tell and an audience to reach. Patrick is an award winning director and writer. He has directed documentaries for all the major UK broadcasters, and a feature length documentary, Wagner & Me which won festival prizes and has been released in cinemas in Europe and the USA. He oversees the development of the company's projects and is responsible for relationships with broadcasters and getting projects commissioned. He directs or executive produces many of the company's films. 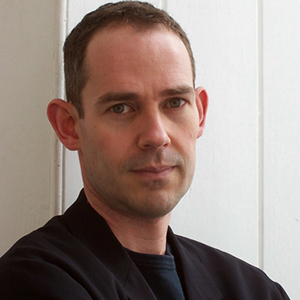 Patrick has devised courses on creativity in film and TV for universities and has run writing and drama workshops. He has also served as an elected member of the PACT Council. Lucy combines a creative and business role. She oversees the production of the company's documentary projects and the distribution and sales of the company's work internationally through direct contacts with broadcasters, working with distributors and by licensing rights with sales agents in individual territories. 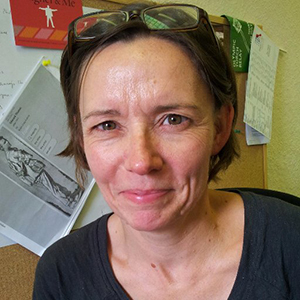 She founded one of Creative England's network hubs in 2012 called write2screen, a partnership project led by Wavelength Films with Writers' Centre Norwich, - www.write2screen.org.uk. She is a Trustee of the Norwich Film Festival.